Many areas of Australia have sweltered through January and as a consequence many garden plants are showing signs of heat stress. 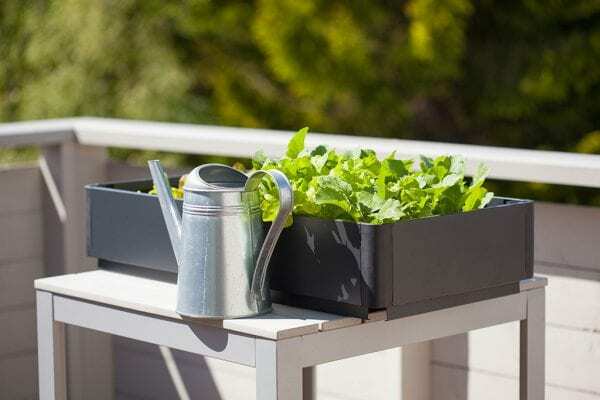 Spending a few minutes every fortnight applying Seasol to plants, in addition to drenching pots will assist heat affected plants through the hottest month of the year. Wetting agents will rewet hydrophobic soil (soil where the water runs off and doesn’t soak in). Many gardens across the country don’t survive without it and is the secret to healthy plants during heat waves. Seasol Super Soil Wetter & Conditioner contains the best of both worlds; a soil conditioner and a long lasting quality wetting agent to rewet extremely dry soil. Mix 50mL of Seasol Super Soil Wetter & Conditioner concentrate per 9 litres of water (standard watering can) every couple of month or use one of our hose-on packs. Simply attach to your hose and off you go. We all know how we feel after a long heat wave – a tad frazzled, well our plants suffer the same fate. Burnt leaves on plants is typical of sun scorch or damage from reflected heat and highlights the importance of creating a little shade in our gardens to protect plants from the brunt of summer sun. Follow the S.W.I.M principle for a fantastic summer garden. S= create a light dappled shade for garden areas. Afternoon sun is the most damaging for young plants. Shade can be created by planting small trees that grow to only 3m high or drape with shade cloth. W= adding wetting agents such as Seasol Super Soil Wetter & Conditioner is crucial to a successful summer garden. A wetting agent ensures water is not wasted and penetrates to the plants roots where it’s needed. I= improve soil with organic matter. Manures, composts and soil improvers, when mixed into the soil will hold water around plants roots, rather than draining past. For an easy no dig option, try Seasol Liquid Compost. Mix 50mL of Seasol Liquid Compost concentrate per 9 litres of water (standard watering can) every couple of months, or try one of our hose-on packs. M= is one of the most important water saving tips. Coarse mulch will shade the soil keeping it cool and reducing evaporation. Most fine feeder roots of plants are in the top 10cm of soil and need to stay cool and protected so plants can continue growing. Apply mulch to a depth of at least 75mm. 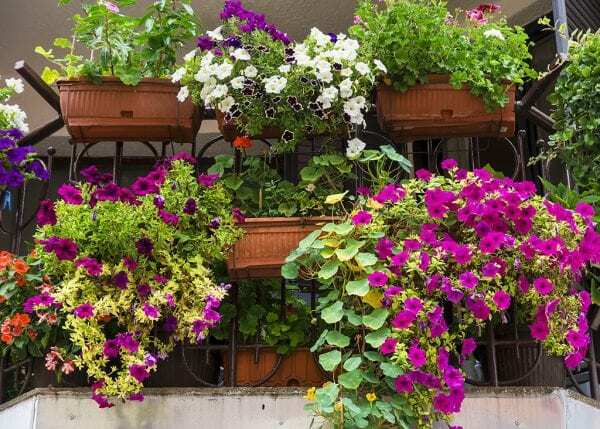 If you have a bare balcony staring at you, filling it with edible plants will give you the greatest joy. Edible plants are some of the easiest to grow, even for beginner gardeners. A little confidence and good observation skills are all you need as there is nothing technical about growing your own fresh salads. Use large pots and if space is limited plant multiple varieties of plant in one pot. Add coco peat to potting mix to increase water holding capacity of the soil Coco peat is a recycled product that’s cheap and beneficial to plants growth. Protection from hot afternoon sun is essential for soft delicate plants. The use of taller plants for shade or a small canopy of shade cloth will benefit establishing plants. A trellis or frame is needed for larger plants such as climbing beans or cherry tomatoes. Water saving products are critical for successful summer gardens. These include crystals or planting gel such as Seasol Planting Gel which are added to potting mix at planting and wetting agents that will prevent soil from becoming water repellent. Seasol Planting Gel is a blend of semi hydrated water storing crystals, Seasol and essential nutrients directly to the plants roots at the critical time of planting to give them the best start possible. Regular foliar feeding is crucial to ensure good production and tasty fruit. Totally soluble fertilisers that are applied via the foliage are absorbed very quickly and benefits to the plant are seen almost immediately. Fortnightly applications are beneficial. Try Seasol 750mL Foliar Spray, it’s an easy to use spray pack, with no mixing required. It contains Seasol and nutrient, plus it has an odour neutraliser, so it’s ideal for indoor plants. Select dwarf growing plants. These varieties have been selected primarily for growing in small spaces without compromising on taste and quantity. Ensure plants are kept moist, but not flooded and water before wilting stage. Selecting pots that are too small. These dry out very quickly and plants root are damaged from the reflected heat. The more soil around a plants root system the better, it doesn’t dry out as quickly and the root system will stay cooler. Attempt to grow sun loving plants in a heavily shaded position. This will result in stretched weak growth and plants that are susceptible to fungal diseases. Neglect the fact that potted edible plants will require regular fertilising to ensure continuous production. Over watering is common when pots have a saucer or tray under them. These are used to avoid the water staining or damaging the floor and sometimes cause more problems to plants than what it’s worth. Always allow the tray to dry out before watering again or raise the pot up on feet so there is no potential for the pot to continually sit in water. 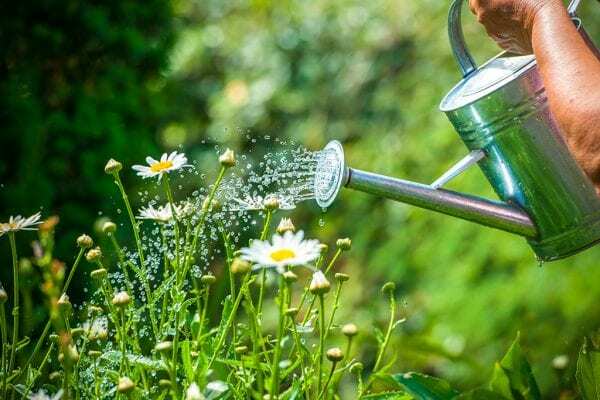 The symptoms for overwatering and under watering are very similar and it’s just as easy to over water as it is to not apply enough. The easiest way to check if a potted plant needs water is to put your finger in the soil, if it feels dry the plant needs watering. For an edible crop with a difference hunt out Canna edulis ‘Red Edge’ at your local garden centre. ‘Red Edge’ is a striking form of ornamental Canna, one of Ancient Inca food crops. It is very easy to grow and the flowers are very similar to the ornamental Canna. Arrowroot is derived from the rhizome of Canna edulis and it’s a great year round food source. As it dies back a little in the colder months be sure to harvest it at this time of the year. The contrasting red edged foliage is stunning when grown in a large pot as an ornamental plant in full sun or part shade. It’s the perfect plant for a patio and alfresco area and the only pests that attack are slugs and snails. If grown well Canna edulis can be harvested in as little as 6 months from planting. Harvest tubers regularly when young as they tend to become quite fibrous when they mature. The tubers can be eaten raw, steamed, roasted or grilled on the BBQ. Arrowroot does not have a lot of flavour on its own and added to other ingredients tends to take on the flavour of other vegetables. Peel the tubers when preparing them. Slices of tubers can be baked in the oven to make crispy chips. The tubers can be ground into flour, used as a thickener for sauces or a substitute for wheat flour.